Let’s face it, holiday events can be a bit, blah – whether it’s a boring round at a minimally-decorated office with your co-worker’s cringe-worthy drunkenness on full display or an awkward family gathering with your family’s similarly cringe-worthy drunkenness on full display. Don’t get us wrong, the month of December is full of feel-good vibes that radiate into the atmosphere, but it’s also a month of aforementioned gawky encounters. We basically need vacations from our vacations – and that’s where DJ Mag USA comes in. We’ve rounded up the best of the best happenings in the month of December, making sure you can spend the final days of 2016 celebrating on your terms. Cheers to that! Chicago’s most prolific New Year’s Eve event is set to be a memorable night, with a flavorful line-up dotted across two full nights. Though this year it’s been reduced to one stage, it’s more tightly curated than ever. Forget traditional big room – the headliners here are Flume and Zeds Dead, accompanied by other heavyweights like Dillon Francis, Danny Brown, Gucci Mane and Tchami. Also expect lots of activations throughout the event and an option for bottle service for the posh set. Marshmello, the highest new entry on this year’s Top 100 list, will be headlining Miami Beach’s Story to help revelers ring in 2017. Everyone’s new favorite sugary treat come to life will be front and center in this opulent club, which boasts everything from a state-of-the-art Hybrid sound system to an in-house production and design team. The trippy, circus-like atmosphere is actually a perfect complement to Marshmello’s aesthetic and vibe, so sweet. What’s better than a jam-packed three-day extravaganza for New Year’s Eve? One that helps you arrange your entire trip, including the lodging! Not only does OMFG! 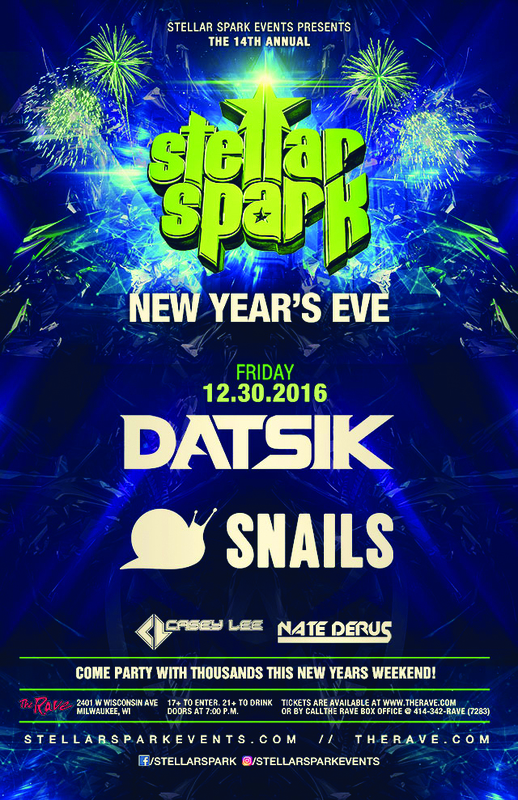 NYE showcase hit acts like DJ Snake and Slander, but also an envious array of the hottest rising stars, such as Malaa and Slushii. Should you want to bundle, the festival has partnerships with nearby hotels, and even a program for solo travelers who can share a room and make new friends. We can feel the PLUR from here. If you are the type of person who prefers to upgrade your life on the regular, this New Year’s Eve event might be just the ticket for you. After all, it does combine chart and tabloid-topping artist Calvin Harris with Omnia, one of the most elaborate venues around (we mean, it has a moving chandelier that weighs 22,000 pounds). Indulgence defined; snag your ticket now to bring in the new year on the finest note possible, helped along by Harris and his massive bank of radio hits. 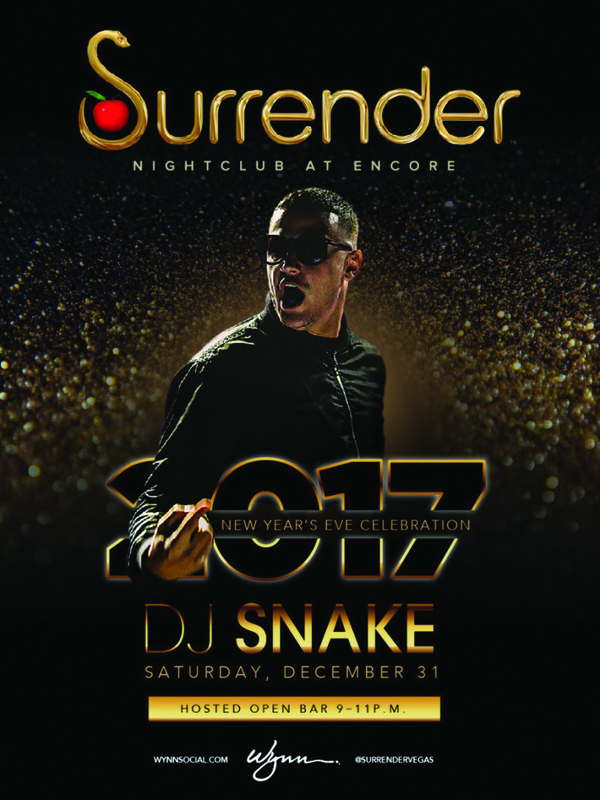 How fitting that DJ Snake will be headlining the Vegas venue that quite literally has a giant, 90-foot golden snake curled against the mirrored wall behind the back bar. Only in Las Vegas would a 5,000 capacity room be called “intimate,” but by the city’s grandiose standards it’s cozy. Come here for New Year’s Eve if you want a chic, upscale scene, with a touch of eclectic taste, all sound tracked by the scene’s favorite always-bespectacled ambassador of bangers. For fans of theme parties, Prohibition NYE is the stop you need to make. Step back in time to the roaring ‘20s, when everything was fringe, sparkles and feathers. While guests will be encouraged to wear formal attire, the event is black tie-optional, but really, where’s the fun in not dressing up? Tack on burlesque, live jazz and Autograf as the night’s headliner and, as they would say back then, you’ve got one hell of a sockdollager (that’s a good thing, trust us). Minimal Effort is a quarterly signifier of the passage between seasons and also serves as a beacon for the brightest the underground has to offer. 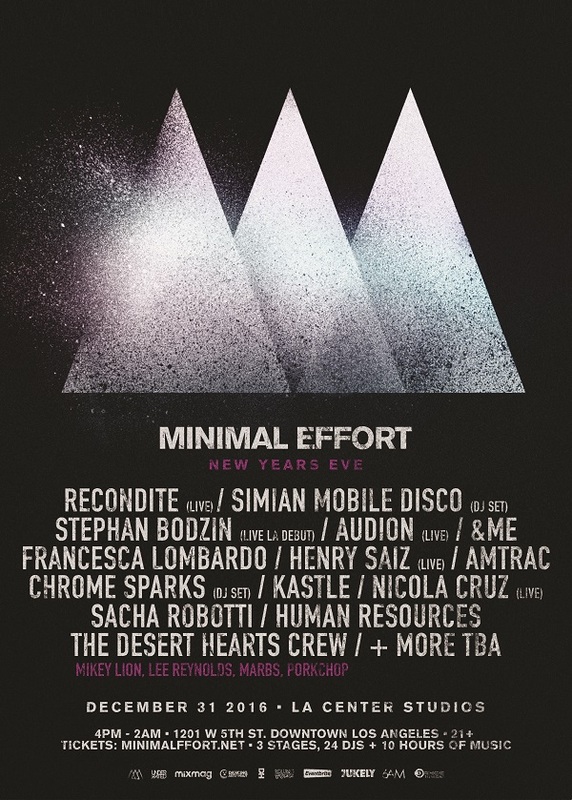 This year’s iteration of the New Year’s Eve installment is a house and techno lover’s absolute dream, featuring the likes of Simian Mobile Disco, Henry Saiz, Recondite and Amtrac, to name a few. In fact, there will be three stages, and 24 artists total, so those who herald the more minimal side of four to the floor will have plenty to delight in. Let there be cake! Just kidding, it’s doubtful anyone will be getting smashed in the face with buttercream at this soiree (but hey, you never know when it comes to the Dim Mak boss), but there will be plenty of other ways to let loose and have your freak flag fly. It is, after all, Las Vegas, on New Year’s Eve, at Jewel, a venue that boasts themed suites and exclusive private tables. At the center of it all will be Aoki, EDM’s peppy Duracell bunny who never seems to run out of steam. Get your workouts in and your tolerance up for this one – you’ll need it. While New Year’s Eve at Output is bound to be a sweaty good time, this show earlier in the month of December captured our attention and has us giddy with holiday cheer. Tale Of Us, the Berlin-based duo that’s constantly redrawing the lines for experimental, yet moving music, will be playing an extended set in the black box that is Output. Screw stale office parties where everyone is awkwardly standing around; this is the perfect way to kick off your schedule of seasonal brouhaha. New Year’s Eve lends itself perfectly for a night of dancing to GRiZ’s new album ‘Good Will Prevail’, released this September. 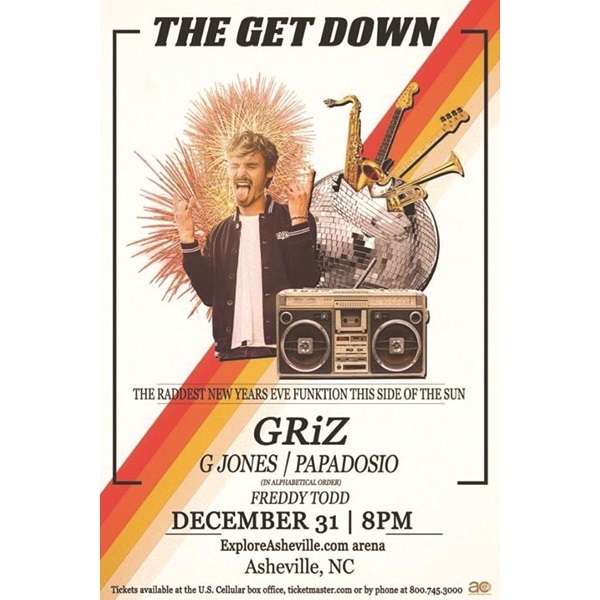 His first-ever NYE concert celebration, has him performing with fellow good vibe creators Papadosio, G Jones and Freddy Todd. Ring in the new year with these brand-new triumphant and carefree feels and start your 2017 with loving vibes all around. Echostage will feature Hardwell during their double-dip celebration heralding the new year (which will also feature Skrillex the day before on December 30). The former titleholder of DJ Mag’s Top 100 will bring you some serious intensity to keep up your party stamina for the rest of the week. If you’re a D.C. resident planning to hit some of Echostage’s other massive events planned for end of year, you’ll need that extra pep in your step leading up to the midnight countdown. Kaskade’s visual effects, lights, and of course, music will have you mesmerized at this breathtaking venue as you ring in the new year. Not to mention, this award-winning DJ may or may not be known to have played for 12 hours in Vegas on New Year’s Eve… just saying. Bay Area locals, be wise and take advantage of the worst kept surprise that is this NYE celebration. 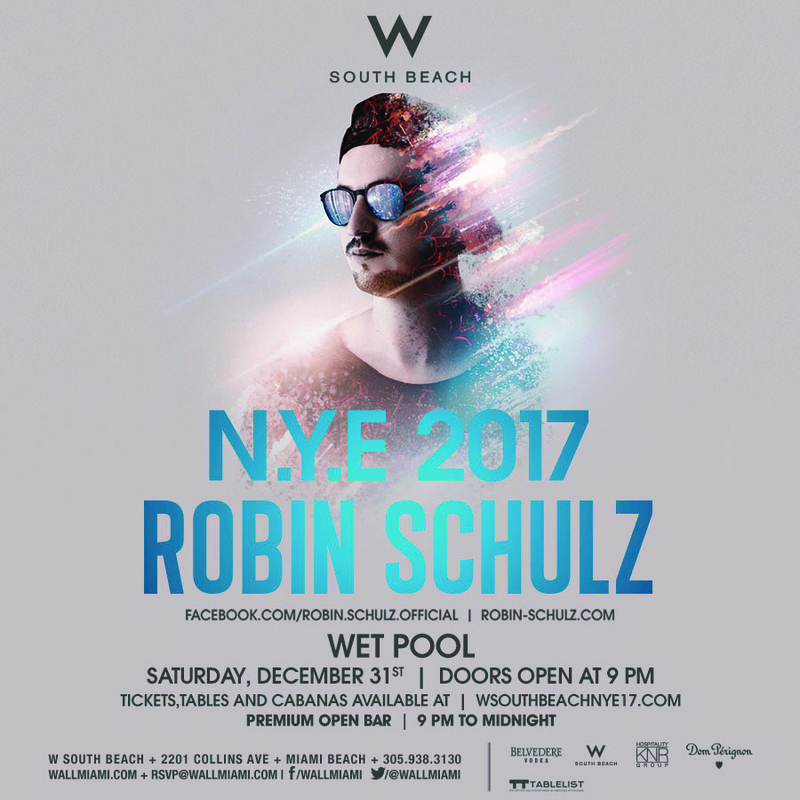 This 21+ bar (you’re welcome) in gorgeous Miami Beach will grace locals (if they’re swanky enough) with a special NYE performance courtesy of Robin Schulz. You might be familiar with his chart-ranking hits ‘Prayer In C’ and ‘Sugar’, and you won’t want to miss Schulz’s soaring melodies that will leave you feeling totally in sync with the new year. Try not to drop your martini glass when he drops the bass. What better way to get in the trance of NYE partying than with Markus Schulz, one of the leaders of both trance and house music? Escape the chaos and slip into the magical rabbit hole that is the music of Schulz. As an added bonus, you’ll be taking the evening in within the confines of a venue we’ve dubbed one of best dance clubs in the world. That sounds like a win-win. 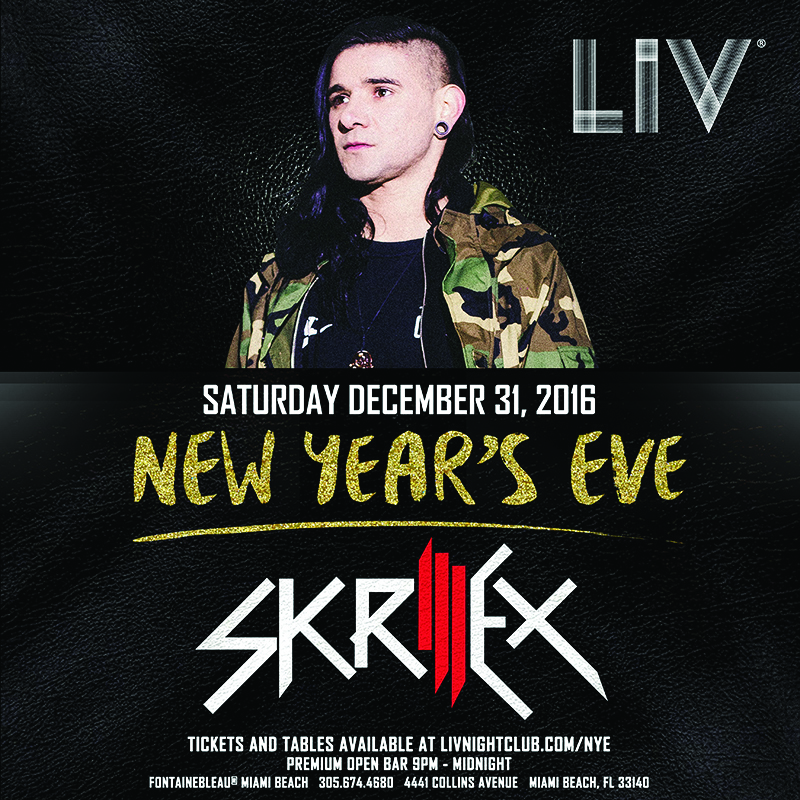 Get your fill of those surprising Skrillex drops with an enormous stage and open bar at LIV in Miami Beach. His massively energetic flair gets any crowd hyped, whether it’s a surprise warehouse party, or, in this case, one of the finest luxury clubs. This versatile Grammy Award-winning producer is sure to make even your most uptight friend get weird this New Year’s Eve. This frosted wonderland, also known as the City of Dreams, is America’s largest New Year’s Eve dance celebration. Not only are the multiple arenas dripping with diamonds and shimmering with ice-like displays, but artists such as Bassnectar, The Chainsmokers, Flume, Disclosure, Marshmello, Snails, Tiesto, Eric Prydz, Zeds Dead and so many more will all be there to sound track the event. You will not want to miss this opportunity to indulge in this lavish, luxurious lifestyle on the last night of 2016. Life inside a utopian snow globe is perfect for the winter lover on New Year’s Eve. Located on gorgeous Lake Tahoe, this venue has a perfect view of the frosted mountains, glassy water and towering pines. 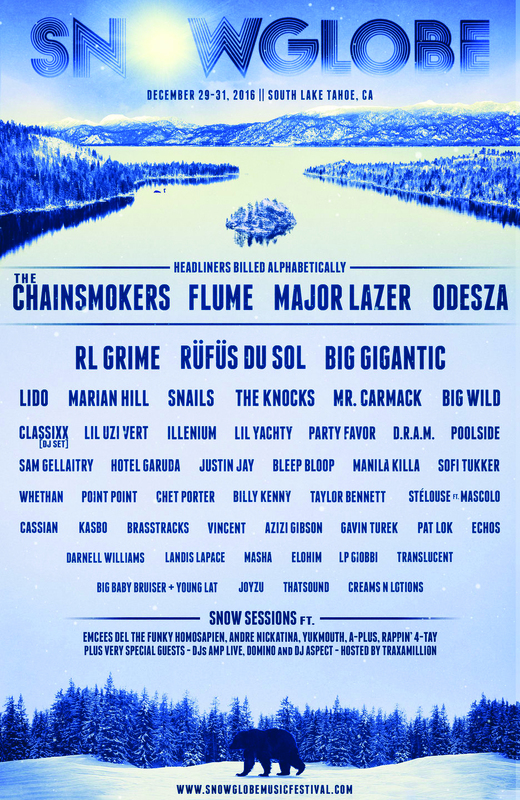 Board the gorgeous slopes and get cozy with special performing DJs in the Snowglobe cabin. Odesza, Major Lazer, Big Gigantic, RL Grime and other fist-pumping artists will keep you warm on the wintery nights of dancing and celebrating. Fluffy hats with polar bear ears are encouraged. The chart-topping hits of Major Lazer will be just the remedy for the couple weeks that you’ve spent at home in the guest bedroom for the holidays. These powerful producers of global, pop-friendly dance music will ignite your excitement for 2017 in a magical, colorful venue fit for royalty. The unstoppable trio, with their brand new release ‘Cold Water’ (featuring Justin Bieber), is guaranteed to provide an unforgettable experience for your dance into 2017. Three enormous, high-resolution stages, LED superstructures, glowing art, amazing pyrotechnics, and performers such as The Chainsmokers, A-Trak, Anna Lunoe, Diplo and Steve Aoki – what could possibly make this a bad choice? Insomniac Countdown is exactly the community of good vibes and love that you’ll want to surround yourself with upon entering 2017. 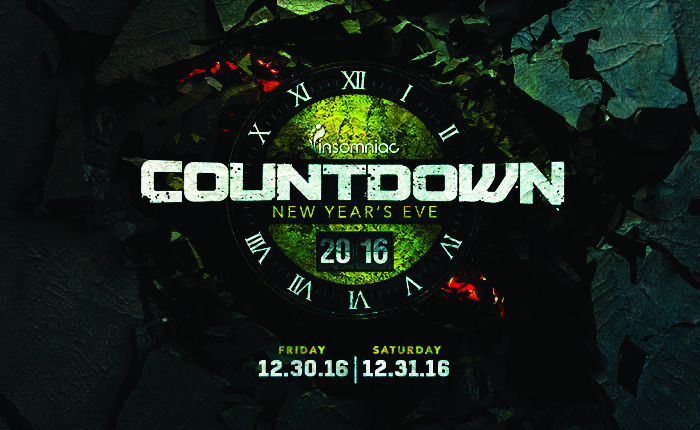 You will definitely be an insomniac this New Year’s Eve… would you even want it any other way? 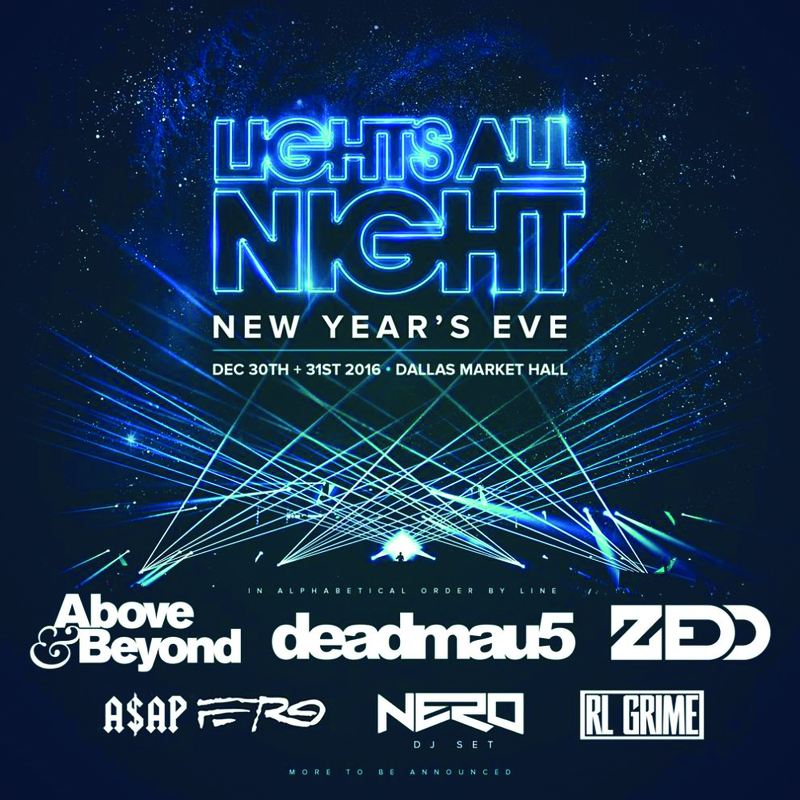 EDM will more than accommodate Texas locals this New Year’s Eve with Lights All Night. Two cities will host the festival, complete with amazing lights and artists such as deadmau5, Above & Beyond, Zedd and RL Grime. And of course, “all night” is the best way to enjoy the evening – stay up until dawn! Check out their website to find out which city and venue is best suited for you. Something for the Midwesterners outside of Chicago! 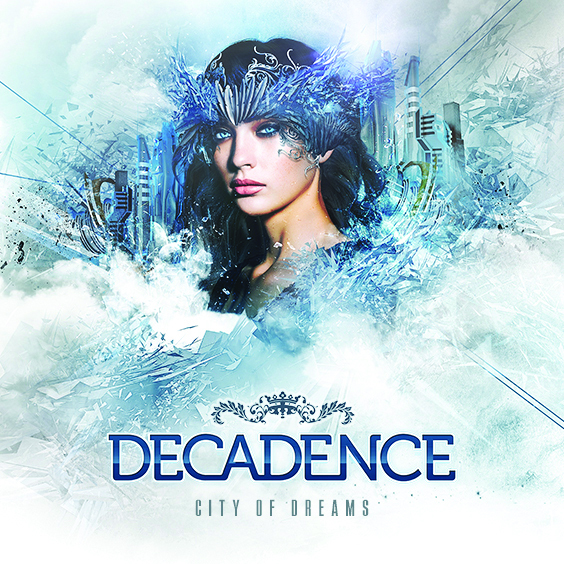 And not just any old something – we’re talking Borgore, Datsik, Kayzo and more. This is the perfect face-melting show for the raver looking to absolutely rage and mindlessly dance their way into 2017. No more lighthearted songs and seasonal carols for you, it’s all eargasms this NYE compliments of the bass rage provided by these amazing performers.